This was my first experience hiring someone to custom build furniture. Bob truly made the experience an exceptional one. He travelled a great distance to meet with me, help design, and ultimately build and deliver a beautiful piece for my father who resides in a care home. Bob was also very flexible with our last minute changes. We definitely would hire Bob for future projects. Custom design mantle in oak for home owner. Finished to match furniture in living room. Available in cherry,maple,alder,walnut. Many styles of mantles and surrounds available or you may design one also. 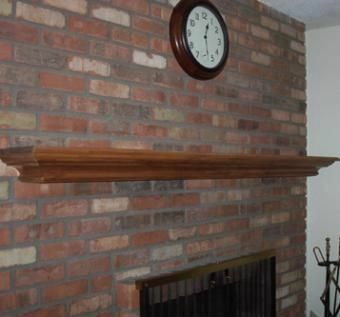 Choose M&M Millwork for all of your fireplace mantels and fireplace mantel needs. Every maker has a story. Be a part of M & M Millwork's story by placing an order, leaving a review, and seeing your review appear here.